I have decided to make my last blog for the month of June very special and different for you guys. I'm doing a review on a TV show called grown-ish. 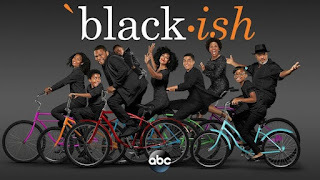 Grown-ish is the spinoff to the ABC series black-ish starring Anthony Anderson. 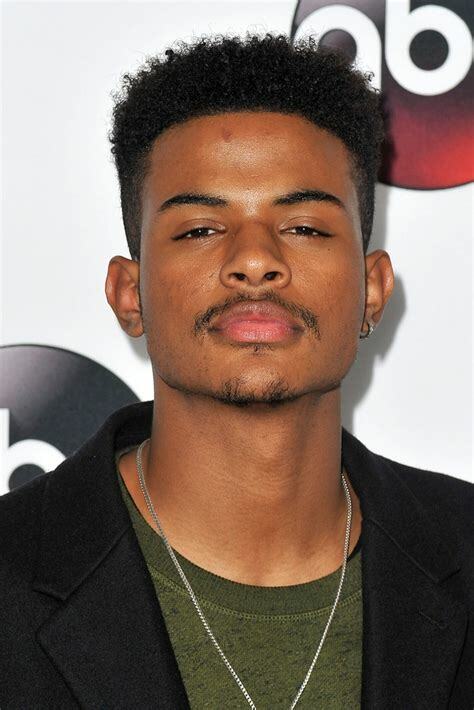 It was created by the creator of black-ish' Kenya Barris and premiered on Freeform on January 3, 2018. 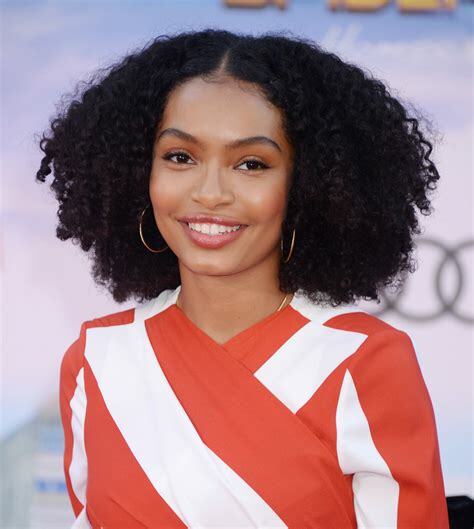 Anthony Anderson is also the The show follows Zoey Johnson (Yara Shahidi) as she heads to college, but when she finally gets there, things doesn't go as planned. 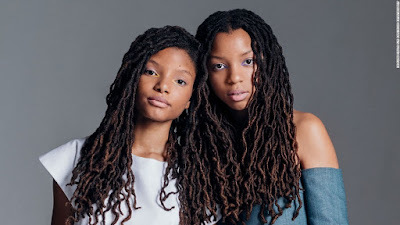 and Chloe & Halle Bailey as twin sisters Jazlyn and Skylar. 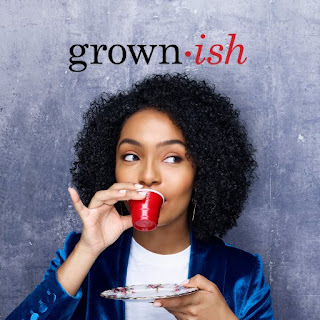 So, I watched all 13 episodes of Grown-ish on Hulu and I immediately fell in love with this show. It all started with the first episode when Zoey Johnson begins to transition into college at Cal U, which is something that her dad Dre (Anthony Anderson) doesn't approve of. Later on in the show, we meet some of her friends at night class. Aaron, Zoey's crush and friend. Zoey has had a crush on him since they first met. Jazlyn and Skylar, twin sisters and are also star track athletes at Cal U. Both of these girls are sassy, smart, and focused on the big picture. Vivek, a first generation Gujarati Indian. His parents are Hindus. He is also a drug dealer and likes to support his fashion choices. Luka, a trend setter and also very independent. 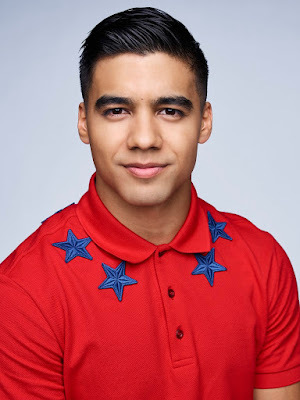 He once wore the same skirt as Zoey, but much better. He is also a stoner. Ana, a freshman at Cal U and Zoey's roommate. She was left at a party by her friend after she threw up drinking too much alcohol, but her and Zoey eventually become friends again in "B, Don't Kill My Vibe". 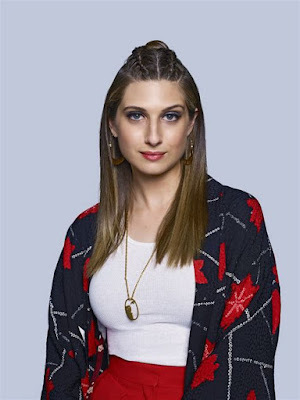 Nomi, a Jewish American who turns out to be bisexual, but just not out to her family. Dean Burt (Chris Parnell) who is the dean of Cal U. He is also Nomi's uncle. 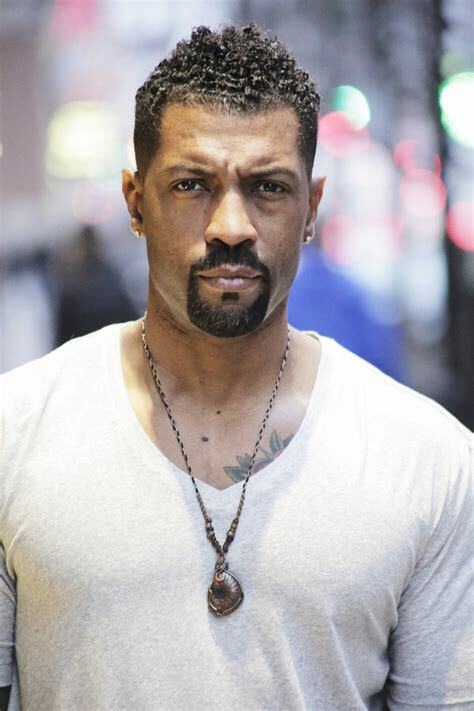 And then there's Professor Charlie (Deon Cole), a night time professor who is teaching a class called "Digital Marketing Strategies", which is basically all about drones. He is also a regular character on black-ish. Happy 25th Birthday, Ariana Grande! Aww, who is this cute little baby girl? Well, that is singer and actress Ariana Grande when she was a baby. Actually 25 years ago, Ariana Grande-Butera was born on June 26, 1993 in Boca Raton, Florida. She started her career as a actress in the Broadway musical 13 in 2008 when she was 15 years old. She played the role of Charlotte, one of the cheerleaders in the musical. She also won a National Youth Theatre Association Award for her role. In 2010, Grande got the role of Cat Valentine in the Nickelodeon TV series Victorious starring Victoria Justice. She played that role from 2010 until 2013 when the show ended after just three seasons. She went on to reprised her role as Cat on the Nickelodeon spinoff show called Sam & Cat along with Jennette McCurdy from iCarly in that same year. 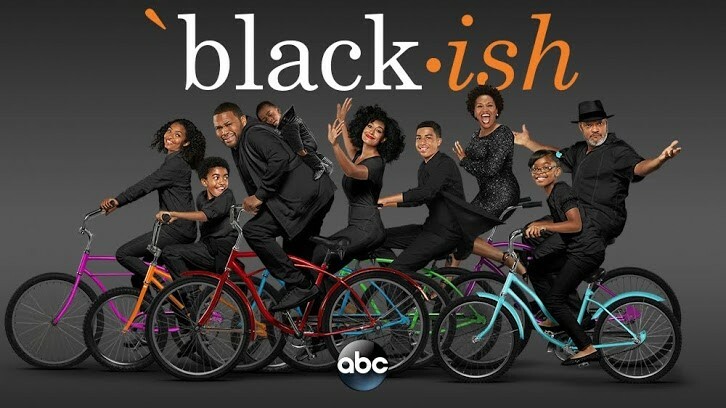 The show ended after one season in 2014. On December 12, 2011, Grande released on her lead single titled Put Your Hearts Up. This was the first song that I had ever listened to by Ariana Grande. 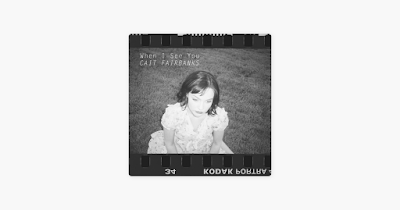 I didn't know that she could sing until I listened to this song from beginning to end. And then, I watched her sing an acapella cover of Rolling In The Deep by Adele on her YouTube channel titled osnapitzari, which is now Ariana Grande'. Sadly, she has deleted the video from her channel, but you can still watch this same video for another person's YouTube channel. You can either watch this video here or go to YouTube and type in "Ariana Grande Rolling In The Deep" and you should see this video that I posted above. This was considered as her most viewed video to date with 40 million views and counting before she deleted it. But, on March 25, 2013, Ariana released her debut lead single called The Way featuring Mac Miller. She scrapped the original lead single Put Your Hearts Up because she felt like it was "too kiddie" for me and that she grew up listening to 90s music. 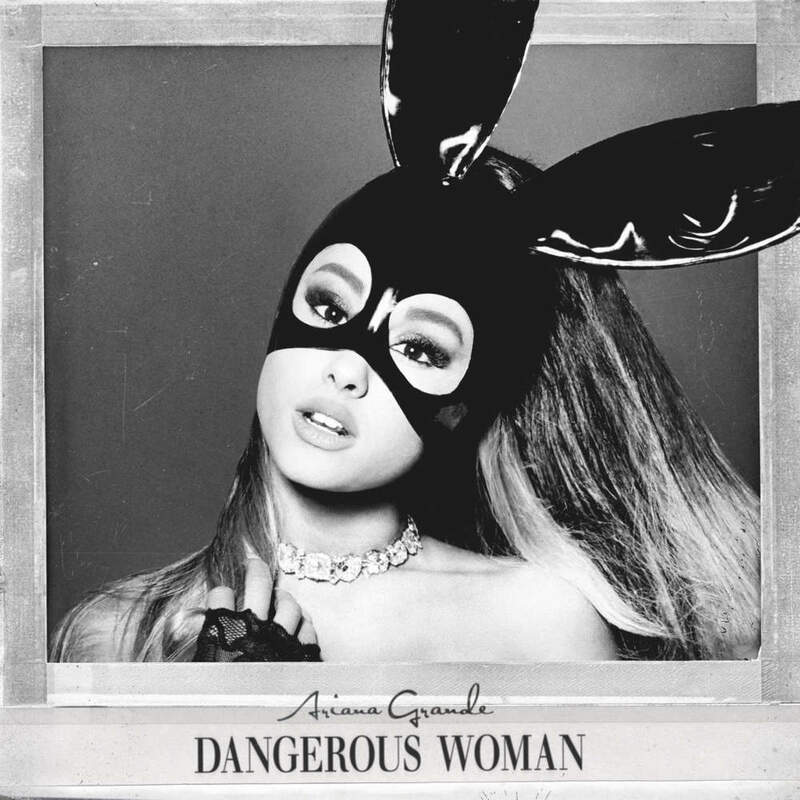 So, The Way, to me, is more less a "proper lead single" for Miss Ariana Grande. Music critics started to compare the singer to Mariah Carey because her vocals almost sounds just like her. But, I don't want to compare to Mariah Carey because this is Ariana Grande. This girl can sang! That's right. I said it, "SANG!" From there on, she went to release more songs like Baby I and Right There featuring Big Sean. Ariana finally dropped her debut studio album Yours Truly on September 3, 2013. The album went straight to number one on the Billboard 200 charts. It also reached number one on the ITunes Store charts in just nineteen minutes in over fifty countries worldwide. and her upcoming fourth studio album Sweetener (2018). I can honestly say that I'm proud to be a fan of Ariana Grande for 6 years. I have listened to all of her songs and albums, went to go see her on the Honeymoon Tour for the first time in 2015 and watched her grow up from a 19 year old girl to a 25 year old woman. Ariana Grande is my idol. She is one of my favorite singers. Whether she has red or brunette hair, Ariana has proved to the world that she can make a name for herself on her own. She can be an actress or a singer, but to me, she is still and always will be Ariana Grande. So, Happy Birthday, Ariana Grande. Put your clothes on and go outside to take a 10 or 30 minute walk around the neighborhood either by yourself or with a friend. This is all a part of exercise and we need to start taking better care of our health. Take some small snacks with you like trail mix or a granola bar and don't forget to drink plenty of water. You have to stay hydrated after you have just finished walking for the day. Have you ever thought about planting your garden and growing your own fruits and vegetables? Well, now you can. Just go to your local store and look for the seeds and plants in the gardening section. You can also go to Amazon and purchase some books on how to start a garden like "Beginner's Illustrated Guide to Gardening: Techniques to Help You Get Started: The Essential Handbook or "Vegetable Gardening for Dummies". Ah, there is nothing like reading a good book to yourself every once in a while. I sometimes like to read a book before I go to bed. Reading is good for your mind and is very relaxing for when you need something to calm you down. 4. Play Some Board Games with Friends & Family. Try playing some board games like Scrabble or Monopoly with your friends or family. This will be perfect for game night with your peers. Not only are you having fun, but you are also giving your brain a workout when doing so. 5. Start Eating at the Dinner Table with Family. Some teenagers don't eat dinner at the table with their families. It's about time that we change that. Let's start having a no-phone zone at the table so that way you can communicate with your family more. Tell them about your day or even tell a funny joke just to break the ice a little bit. 6. Learn How to Play an Instrument. Do you have a instrument like a guitar, keyboard or even a flute? Have you ever thought about taking music lessons from a music teacher? I think that you should go and do just that. Set up some lessons with a teacher or you can just go to YouTube and learn how to play a guitar or the piano. Hey, if you're using the internet, you might as well use it to help you learn something new. 7. Taking On a New Hobby. Learn a new language like Spanish or French. Or try taking some dance or acting classes. Trying a new hobby is good for you because you can go out and do something that you love to do in the world. Whatever you decide to do is totally up to you. And that's it. Thank you so much for reading. I wouldn't be blogging as much as anymore because I'm taking a break for blogging every day. So, I will be posting different articles on certain days of the month. I hope that you guys understand that I need time to think and also time to unplug from my computer. Thank you for understanding and I will talk to you guys soon. On June 23, 2003, singer Beyonce released her debut solo studio album titled Dangerous In Love. The album had spawned hit singles like Me, Myself And I, Baby Boy featuring Sean Paul and Crazy In Love featuring Jay-Z. 15 years later, Dangerously In Love still remains as one of Beyoncé's best albums to date. It was best known for establishing her career as a solo artist after each member of the music group Destiny's Child decided to take a hiatus and release solo albums of their own. Beyonce went on to debut at number one on the Billboard 200 chart with her album, sell 11 million copies worldwide, win five Grammy awards in 2004 and have two back-to-back number one singles on the Billboard Hot 100 chart. After Dangerously In Love, the singer released more studio albums through the years like B' Day (2006), I Am... Sasha Fierce (2008), 4 (2011), Beyonce (2013) and Lemonade (2016). She most recently released a collaborative album with husband Jay-Z titled Everything Is Love on June 16, 2018. Beyonce has really proven to everyone that she is, in fact, the "Queen B". I can't wait for her to drop more surprise visual albums like she did with Beyonce and Lemonade or release new music from her upcoming seventh studio album or break some records on the Billboard Hot 100 or 200 chart. Beyonce is not far from over just yet. She still has a long way to go. And yes, Beyonce would have seven studio albums as a singer. She has been in the music business since she was 17 years old. Led and formed one of the best-selling girl groups in history, Destiny's Child and released her first ever studio album as a soloist. So, here is to fifteen years of Dangerously In Love. Thank you Beyonce for blessing us with your beautiful voice and music. I can't wait to hear more from you in the future. On this day June 16th, the mysterious singer H.E.R. released her second extended play titled Vol. 2. It served as a follow-up to the Vol. 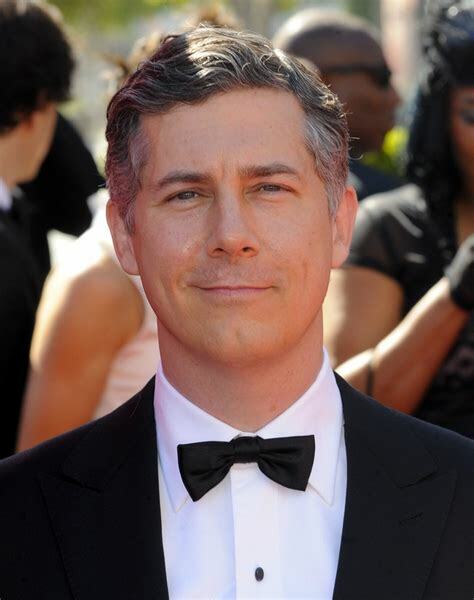 1 EP in 2016 and has spawned the singles like "Say It Again" and "Every Kind Of Way". Vol. 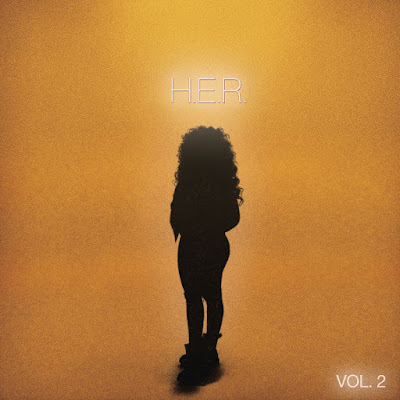 2 gave the fans more of H.E.R. from her slow R&B voice to her sultry tracks talking about love and heartbreak in a relationship, this singer has really made a name for herself when it comes to her music. I remember when I listened to Vol. 2 by H.E.R. for the first time on SoundCloud. I fell in love with Vol. 2 just like I did with Vol. 1. Listening to all eight of the EP's song just hit me all at once. The production and the lyrics were very moving to me. I have always love to listen to music, but when I listen to H.E.R., I took my love for music a step farther. If I hadn't discovered H.E.R. on October 25, 2017 on YouTube, I wouldn't be telling you guys about this artist like I'm doing right now. Those two songs "U" and "Losing" were the first taste of new and upcoming artist for me. I wanted to hear more music from the singer and I finally did. I am so thankful to become a fan of H.E.R. just like the rest of you. Thank you so much H.E.R. for always being you and never having to change who you are as a person and a singer for other people. You brought R&B music back to its roots and I really appreciate you for doing just that. Keep doing what you're doing. I hope that you enjoy this special blog from me just as much as it took for me to write it. Thanks again for supporting When A ThinkBubble Bursts™. 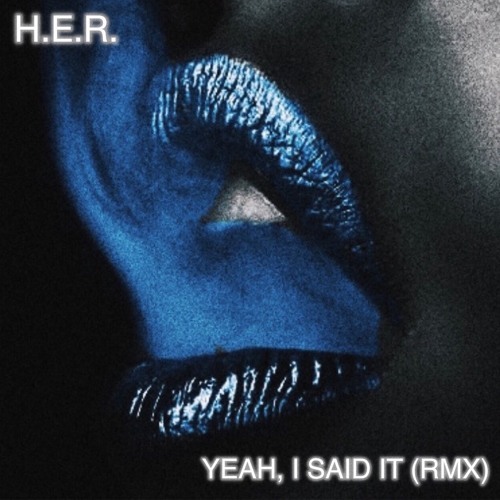 Yeah, I Said It (Remix) is a song by R&B singer H.E.R that was released on November 16, 2016. It is a remixed cover version of Rihanna's song of the same name from her eighth studio album ANTI. H.E.R. begins to sing the song's original lyrics with her sweet vocals on the second verse with, "Boy, I always like to show/ Get a little bit, come a little close, now/ Take it home on your camera phone/ Get a little bad, baby, watch me blow it down". She also adds a new verse to the track on the outro that she wrote herself with the lyrics, "All you gonna do is say, "Yes"/ I ain't worried about a label/ Going in like we ain't got no time left/ Pick me up and put your dinner on the table/ Don't stop, ah, won't stop/ 'Til I feel it in the right spot/ Now I'm on top/ Yeah, I said it/ Give it to you right, you won't forget it/ Boy, get out your feelings and forget 'em/ Oooh, yeah". I thought H.E.R. did an excellent job on covering Rih's song and adding her own flavor to it. I can't wait to do more cover songs like this one in the near future. I give this track a 9/10. 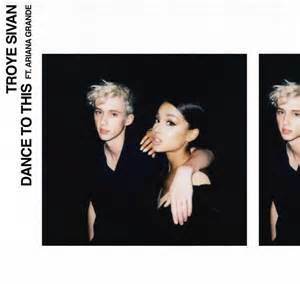 I'm doing a review on Troye Sivan's new song titled Dance To This featuring Ariana Grande. It is the fourth single from his upcoming second studio album Bloom. 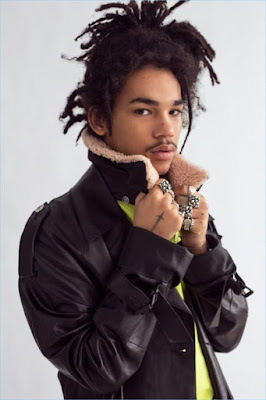 The track is described as a "mellow dance track" that talks about the experience of a couple who would rather stay at home to party than to go out to a nightclub. Sivan sings on the pre chorus, "Oh, yeah, under the kitchen lights/ You still look like dynamite/ And I wanna end up on you/ Oh, don't need no place to go/ Just put on the radio/ You know what I wanna to do", and then continues on the chorus with the lyrics, "We can just dance to this/ Don't take much to start me/ Push on my body, yeah/ You know we've already seen all of the parties/ We can just dance to this/ Dance to this/ Dance to this/ We can just dance to this". 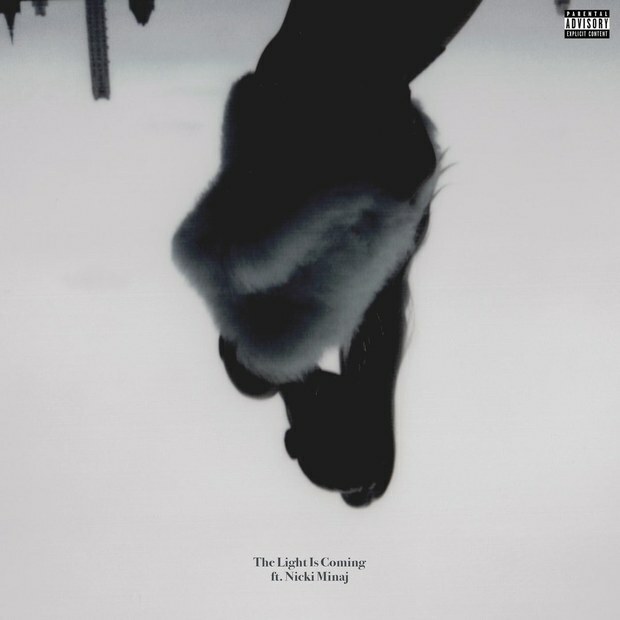 Ariana then begins to exchange her verse on the song singing, "Dear beloved/ Bring those 501s a bit closer, bit closer/ And dear, my lover/ Do that thing we never do sober, sober". And I love this catchy bridge part of the track with Troye and Grande saying, "I don't wanna sleep tonight-night-night-night-night/ I just wanna take that ride/ I don't wanna sleep tonight-night-night-night-night/ I just wanna take that ride". 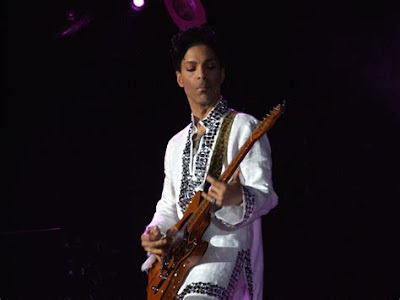 Prince, I miss you so much. You will never be forgotten. Whether you're singing to your hit songs at concerts for your fans or changing your name to an unrecognizable symbol (which he later confirmed to be the love symbol), you will always be the same Prince that we have come to know and love since the release of your debut album titled For You on April 7, 1978. So, happy birthday, Purple One. May you rest in peace.